Seldom does an exhibition generate so much controversy before its inauguration. Such was the case with The Beast and the Sovereign, where (then) MACBA director Bartomeu Marí ignited a media firestorm when he ordered that a controversial piece be removed from the exhibition just days before its opening. The work, a sculpture by Austrian artist Ines Doujak, depicts a German Shepherd sodomizing Bolivian feminist Domitila Chúngara, who in turn is sodomizing Juan Carlos I, former King of Spain. 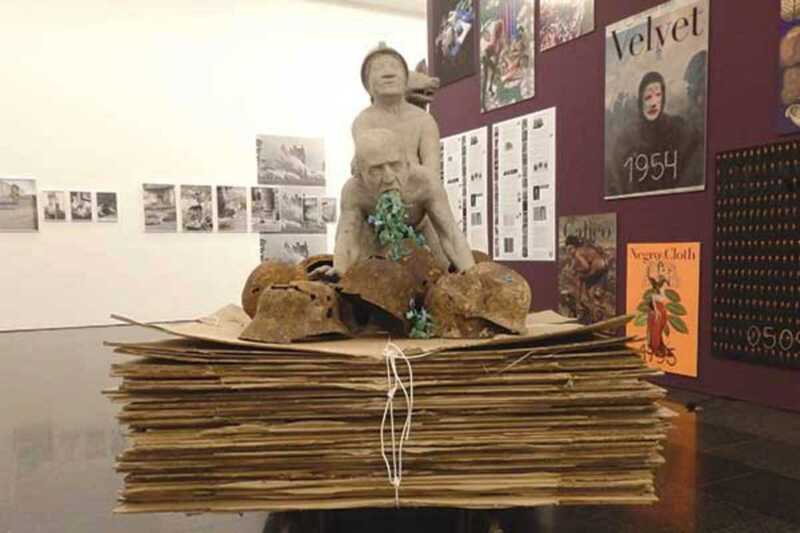 When the exhibition’s curators, Hans D. Christ, Iris Dressler, Paul B. Preciado and Valentín Roma, refused, Marí cancelled the exhibition, unleashing widespread indignation over the act of censorship by a public institution. The attempt to censor the work caused it to be more widely known, an instance of the Streisand effect. Ultimately, the exhibition opened, Marí resigned, and, unjustly, Preciado and Roma were fired. Leaving the scandal aside, the exhibition explores an interesting matter: the deconstruction through contemporary art of the Western and metaphysical definitions of political sovereignty, individual autonomy and the modern nation-state. The title is borrowed from a seminar by acclaimed postmodern philosopher Jacques Derrida and it refers to a duality in questions such as genre, class, species, sexuality, race and disability that structures the relations of dominance. The exhibition, co-produced with Stuttgart’s Württembergischer Kunstverein, comprises works by nearly thirty artists.